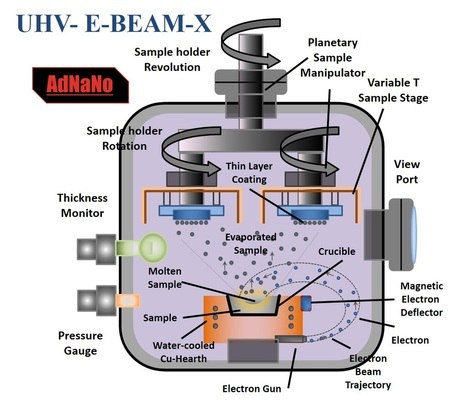 In Electron Beam Evaporator (EBE), high-energy electron beam is generated from tungsten filament, while electric and magnetic field direct these electrons towards the target material to heat up the surface of the target. Electron beam position can be confirmed visually to ensure that the electrons bombard the target in the correct location. Upon heating up the target, the vapor pressure of the target increases hence evaporating the surface atoms. 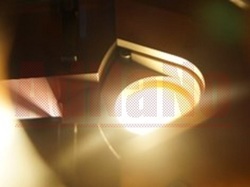 The vapor will then travel and condense on the substrate forming thin-layer film. 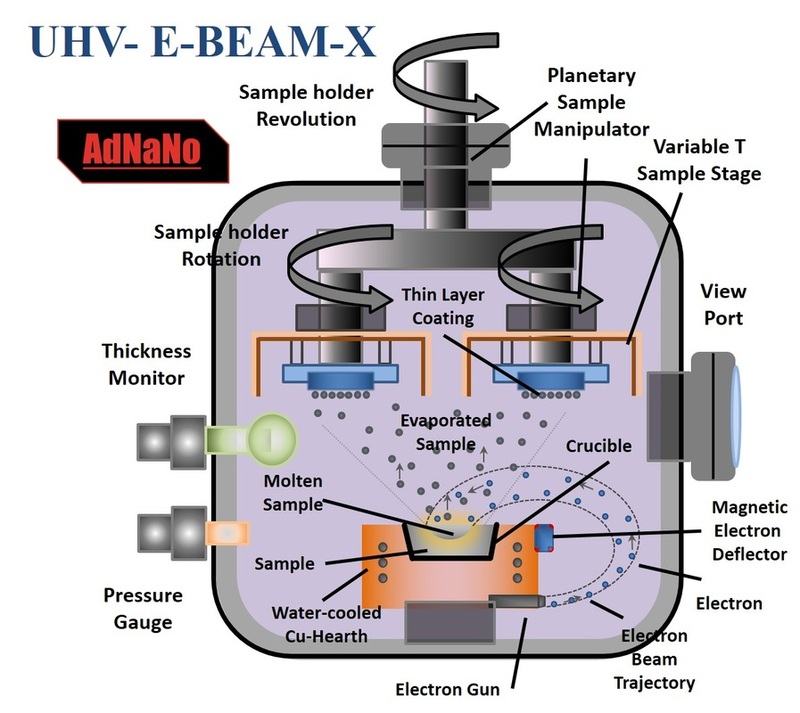 AdNanoTek's E-beam system is equipped with substrate planetary manipulator which revolve and rotates multiple sample. This allows precise and simultaneous deposition of thin film in multiple substrates, while significantly improving the uniformity and quality of the deposited thin-film due to the revolution and rotation motion. AdNanoTek's FBBear system control software can allow fine tuning, recording and automatically setting of the parameters to be used in the deposition process. This makes the deposition process fully automated, user-friendly and consistent.